I like to make a lot of things homemade. But sometimes you have to weigh the benefit of how much better something is handmade than it is store-bought, in relation to the amount of time and effort it takes to hand make it. 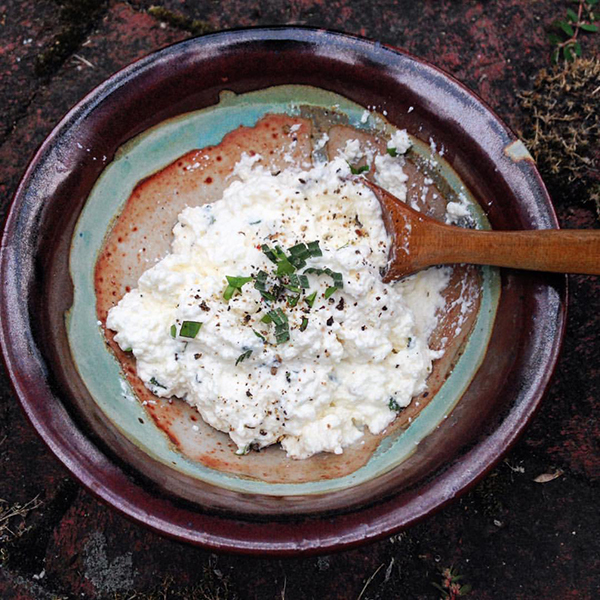 Homemade ricotta is a win win. It tastes significantly better than store-bought AND is fast and easy to make. As usual, I took bits and parts from recipes I found and came up with one that fit what we had in the pantry. 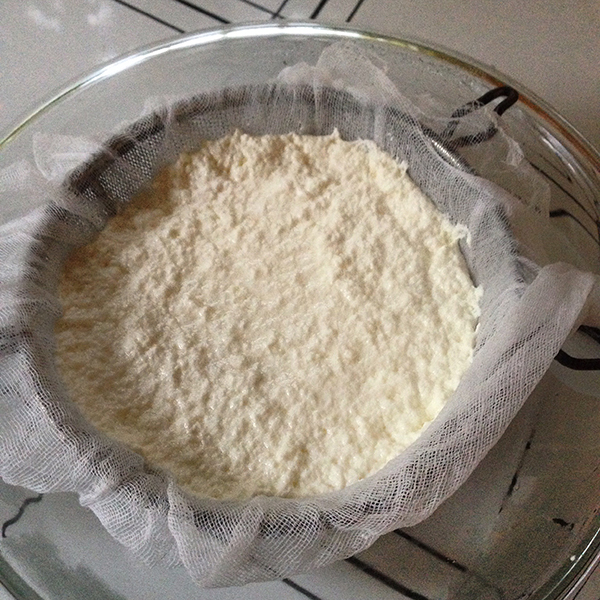 Place two layers of damp cheesecloth over a sieve and place the sieve over a bowl. Bring 4 cups whole milk, 2 cups heavy cream and 1 teaspoon of salt to boil over medium heat. Turn heat off and stir in 3 tablespoons of white vinegar. Let it sit for 1 minute while it curdles. Slowly pour the mixture into the sieve and let it drain for a half hour. That's it! I like to have it while it's still warm but you can keep it in the fridge for about four days and it's still tasty. 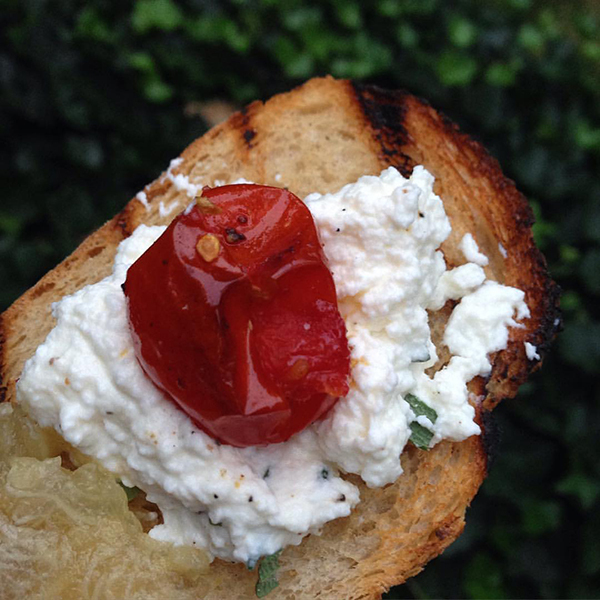 Aaron grilled some bread while I roasted garlic and cherry tomatoes in the oven and they all went together with the ricotta. It was melt-in-your-mouth good. 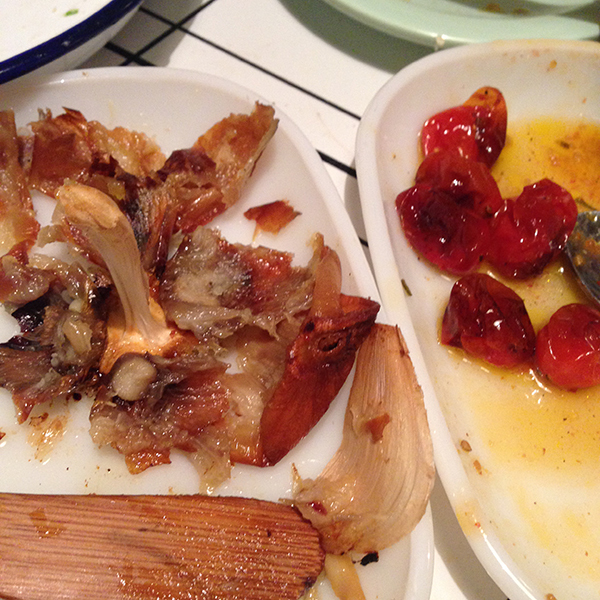 I didn't get a picture of the garlic or tomatoes before they were all gone.